It is no secret that Frederick is full of amazing parks. From the historic fields of Monocacy National Battlefield to the majestic views of Cunningham Falls State Park, adventure is everywhere and people don’t seem to have any trouble finding it. 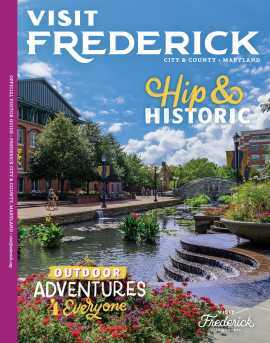 After all, many of Frederick’s most popular attractions are well known by visitors from all over the world. But did you know that the very first Washington Monument exists in a Frederick park or that the home of the Blair Witch Project is also the home to the 50- foot tall War Correspondents Memorial? These are just a few of the hidden gems Frederick County has to offer. As the National Park Service turns 100 this month, now is a great time to Find Your Park in Frederick County! Many are familiar with the famed Washington Monument, a popular attraction located on the National Mall in Washington, DC. What many don’t realize is that there was actually a monument built to honor George Washington before that version was ever considered! 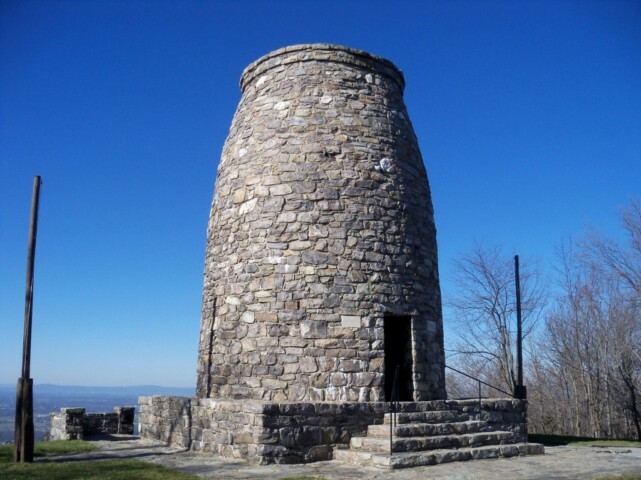 High atop South Mountain, hidden by the woods that surround it, sits the original Washington Monument. 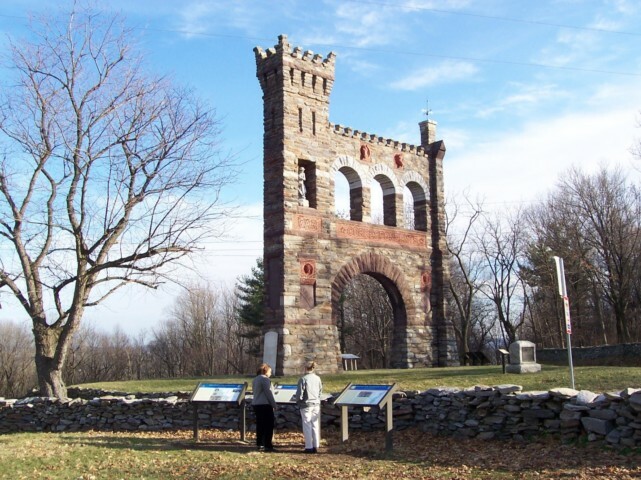 Constructed on Independence Day in 1827, the monument is located in the aptly named Washington Monument State Park in Middletown. The beautifully manicured trail leading from the visitor center to the site is short, and not as rigorous compared to the two mile march up the mountain that citizens took to create the attraction years ago. 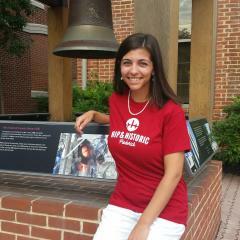 Like the monument in DC, visitors who reach the top of the monument are rewarded with an incredible view. Just outside of the historic town of Burkittsville, a much larger hidden gem of Frederick can be found. Once home to Civil War journalist George Alfred Townsend, Gathland State Park holds a site that you truly can’t miss. Standing at 50 feet tall and flanked on one side with a tower, this striking and massive memorial holds 157 names of fallen war correspondents. When the memorial was dedicated in 1896, Townsend had constructed the arch to be the only monument dedicated to journalists who had been killed in combat. The memorial is full of fascinating symbolism and a great background for a picnic or hike through the park. With such a picturesque location and so many recreational opportunities, Catoctin Mountain Park has become a recognized destination for outdoor fun. What many don’t know is that the park also offers a look into a raid surrounding a whiskey still. In 1929, Deputy Sherriff Clyde L. Hauver was killed in a raid on one of the largest and best equipped whiskey stills ever found in Frederick. After Hauver’s death, rumors flew about what had happened. 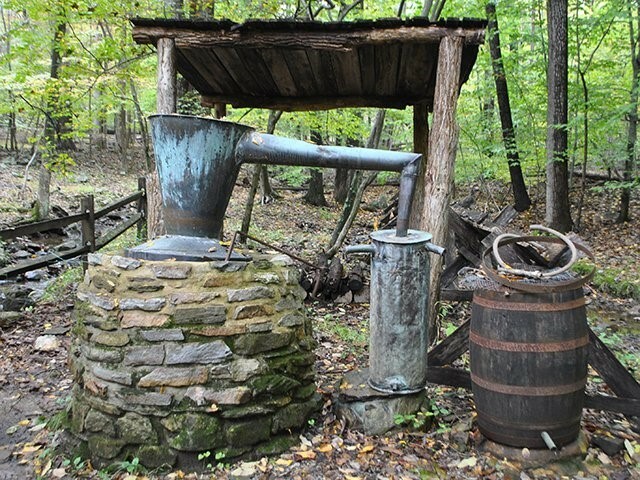 The Blue Blazes Whiskey Still was massive and had produced enough moonshine to supply all of the speakeasies in Philadelphia, Baltimore, and Washington, DC. While the original still was destroyed in the raid, a smaller still from that time is on display in the park. Today, spirit making is back in business in Frederick County with the opening of several new distilleries serving up whiskey, rum, gin and moonshine. Sometimes the most interesting landmarks are hidden in plain sight. 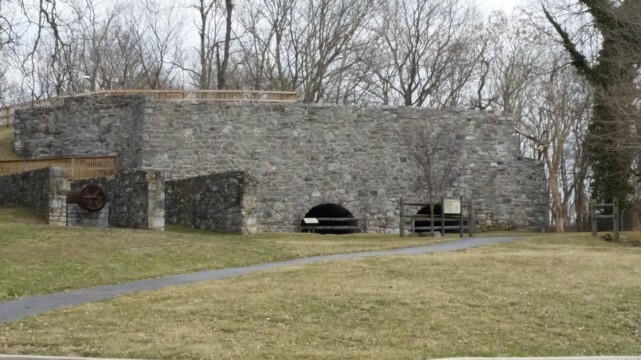 This is the case for Walkersville’s Lime Kilns, located in Fountain Rock Park. Limestone was a crucial resource in Frederick County at the turn of the century. From field fertilizers to road surfacing material, the uses for limestone were numerous and Frederick was conveniently located on top of a limestone fault. Six of the original eight kilns are still intact and can be visited and explored on the self-guided trail.